WHEN THE TIME COMES to sell your home, there are several steps you can take to help entice buyers to stop and check it out. If you were to talk to just about any reputable realtor, one of the first things they are likely to tell you is you must make potential buyers want to see more of your home. If the first thing they see is a run-down home or yard, most will drive on. According to the National Association of Realtors, (although we couldn't find the actual study, it's quoted in quite a few places) curb appeal sells approximately 49% of all houses. Here are 21 of the most popular curb appeal ideas we found used by realtors and home and garden websites across the country. Repainting your home is one of the best curb appeal ideas out there. If the paint on your home looks old or is faded, chipped, and cracked, any potential buyer is going to see a home that looks like it has not been well cared for. Buying a few gallons of paint, rollers, and brushes doesn't cost that much, but can add tremendous value to your home. You can give the front a coat in a day. To do the whole house, depending on the size of your home, you can probably paint it in one or two days. Remember that power edger you bought, you know the one that is buried out in your garden shed? This is the perfect time to drag it out and put it to work. Nothing looks nicer that crisp clean edges along all f your sidewalks, paths, and of course don't forget your driveway. Grass that is overgrowing the edges of paths etc. make your home look unkempt, no matter what the rest of the yard looks like. Your front door is the gateway to your home, if all you have to light the way is a boring commercial style light fixture, buyers are not likely to be impressed. This is one of the least expensive curb appeal ideas. Check out the wide range of front light fixtures available online and in your local hardware stores. Shed a little extra light on the front door, you might be surprised at the results. While that beat up old standard mailbox might still be perfectly good and still keeps you mail dry, it sure doesn't look good from the street. It is also one of the first things potential buyers are likely to see when they pull up. Now is the perfect time to replace it with a brand new one, leaving the old one in place could lead people to think the rest of your home matches the condition of the mailbox. Mulch tends to stop looking good after only a few months out in the weather. As potential buyers walk up to your door, you can bet they will be checking out the gardens. A few bags of mulch don't cost much and can be laid down in a couple of hours or so. This is a wonderful way to make your flower gardens look spectacular and show buyers how much you care about your home and gardens. No one ever said windows must have curtains or that shutters belong on the outside. Interior shutters have become a very popular trend. They can be used to block out the light and let in plenty of fresh air. Even more importantly, you can paint them to complement the color scheme of each room you put them in. Over time you have probably become used to how dingy your exterior walls, fences, driveway etc. have become. 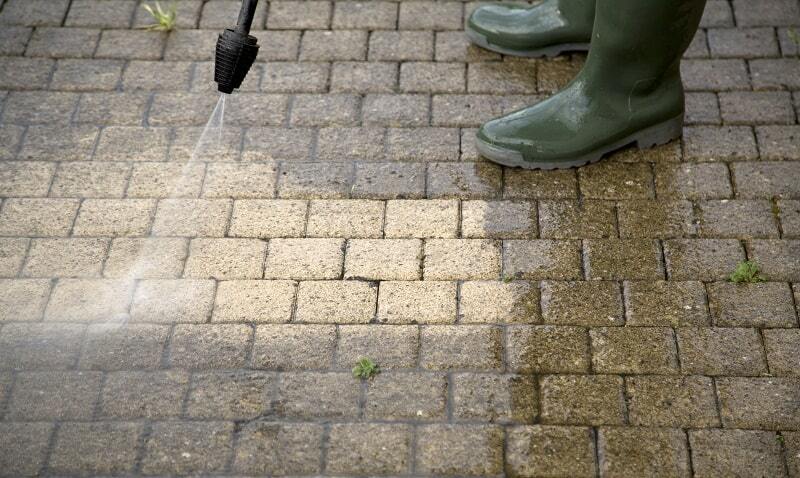 Whether you are talking about the walls of your home or those surrounding your gardens, washing them down with a power washer or even scrubbing them by hand can have a dramatic effect on the way your home looks from the street and on how fast it is likely to sell. Remember that wind storm that came through your area last winter and left you with a few missing or damaged tiles or shingles? This is the last thing a potential buyer wants to see. Replacing them is something you can do if you are familiar with working on the roof, otherwise, your best bet is to call in a professional roofer who can get the job done in a few hours. Not only do they look quite chic, but they will make it much easier for buyers who come to see your home after the sun sets. This is something you can do for yourself in just a few hours, less if you install solar-powered lights. Your front door is the gateway to your home and how it looks from the street is likely to have a huge impact. Upgrading your front door or at least refinishing it, is one of the more popular curb appeal ideas that has definitely been proven to work. While a new door might be needed if your old is in rough condition, more often than not simply cleaning it and repainting it will have the desired effect. Just be sure to pick a color that complements but stands out from the exterior wall color. The walls of your home are no place for birds and other animals to nest and there is no reason why your climbing ivy or hedges should look like they are totally out of control. Be sure to trim anything back that might obstruct windows, doors, or porches. If you have hedges around your yard or garden, be sure to trim them back and make sure the tops look nice and level for instant curb appeal. Now that you have spruced up your front door or at have replaced it with a shiny new one, there is one more finishing touch missing. Adding a nice door knocker is a great way to add a touch of class to your home's entryway. Sure, people are still going to use the doorbell, but at the same time, you can bet they will be staring at the doorknocker and wondering if it really works. What a neat way to welcome a potential buyer to your home. Window planters offer you a very affordable way to add a dash of color to your home. They are easy to install and even easier to fill with soil and plant. Depending on the variety of flowers you choose to plant, you could have blooms in less than a month and plants that will continue to flower all summer long. Whether it's neighbors with a messy yard, businesses that can be seen from your yard, or you simply want to add a touch of privacy to your home a few inexpensive fence panels or an arbor is a great solution. Fence panels come preassembled today so that all you have to do is install fence post in the right places and attach the panels. A good way to make your gardens look even better than they already do is to install stonewall border edges around them. You can use real stone and set each piece yourself or you can buy faux stone wall sections that can be used to surround your gardens in a truly traditional manner. You have worked so hard creating a world of your own in your backyard and gardens, why not add a little life to it. There are so many different forms of outdoor art available it will leave your head spinning. The good news is that whether you buy rock animals, resin birds, or ceramic beasts, your yard is only going to gain when it comes to curb appeal. Everyone needs a hand (rail) to hold on to, especially when going up and down the steps to what you hope is to become their new home. If your railings are like most, they are probably showing their age by now. Rather than painting them and trying to make them look good, why not update them with something a little fancier or more up to date. A Little Dirt, a Frame, a Few Plants and Violà! See that expanse of boring lawn in front of your home? So do any potential buyers. This is another of the many inexpensive curb appeal ideas that you can throw together in an afternoon. While it might not take much time to complete and plant, a planting bed like this one can add a tremendous amount of appeal and value to your home. Just be sure to add plenty of that new mulch to make your planting bed look its best. Most people tend to think of potted plants as something that belongs inside the home. While this is true and you can definitely spruce up the inside of your home with a few plants, this is not the only place for them. There are many different plants that can be successfully grown outdoors. Put one on each side of the front door, several out on the deck or patio, and even scatter a few in strategic places around your yard for maximum effect. In this day and age, most of us have our house number on our mailboxes so the post office knows where to put our bills. The problem is that many areas group their mailboxes together, making it hard to find an address if there are no numbers on the houses. The best way to cure this problem is to put your house number on the front of your house using numbers that are large enough to be easily seen from the street. If you have taken the time to create one or more paths running through your lawn and around your gardens, why not add a few lights along them. Adding lights is also a great way to add nighttime curb appeal to your home for those who like to go shopping for their next home in the evening or simply want to see what their next potential home looks like at night. If you truly want to make the most of the curb appeal ideas, you need to take an objective look at your house as you pull up to it. Try to look at it as if you were interested in buying it for the first time. Note anything that looks old, tired, worn out, out of place, or just not as nice as it should. These are the things you should be doing something about them. Only you can do what it takes to get the most out of your home, take the time to make it look its best. Remember, you only get one chance to make a good first impression! Why not ask your friends if they have any curb appeal ideas by sharing with Pinterest or Facebook?